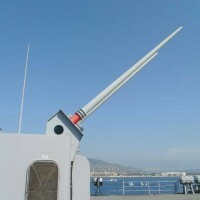 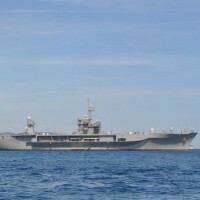 U.S. 6th Fleet flagship, USS Mount Whitney (LCC 20), stayed in Theoule sur Mer for a 4-day visit, during which her officers and crew have been taking part in several commemorative events honoring the 69th anniversary of the Allied forces Landing in Provence during World War II and the liberation of Theoule. 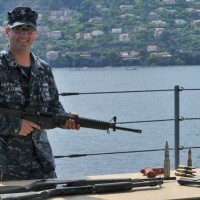 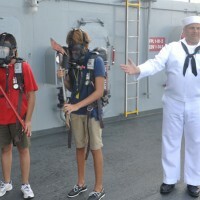 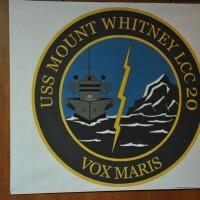 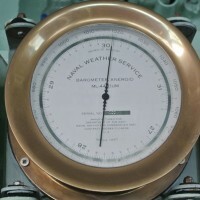 During the visit, USS Mount Whitney sailors were very busy. 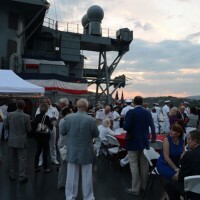 On August 14th, they hosted an on board reception on the invitation of Charles H. Rivkin, Ambassador of the United States of America in France. 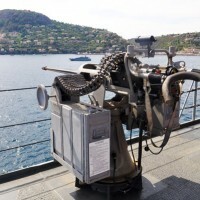 In the presence of Ambassador Charles H. Rivkin, Captain Craig Clapperton, commanding officer of USS Mount Whitney and his crew took part in a wreath-laying ceremony at the Croix de Lorraine in recognition of the 69th anniversary celebration of the liberation of Theoule and in remembrance of the fallen soldiers. 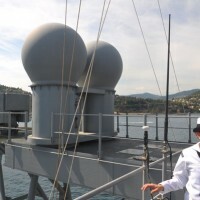 Captain Craig Clapperton was a Lieutenant when he came for the first time in Theoule, during the 50th anniversary many years ago. 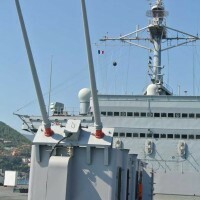 Now that Mount Whitney has been in Theoule for the third consecutive year, he city and the ship have developed a great friendship. 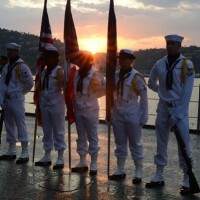 The american sailors also took part in a parade after a moving wreath-laying ceremony at sea at La Pointe de L’Esquillon, accompanying authorities from the pier to the ceremony in the heart of Theoule in front of the city hall, hosted by Mayor Daniel Mansanti. 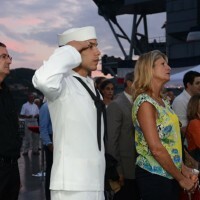 A quintet of musicians of the Mount Whitney played U.S. and French national anthems at ceremonies and the ship’s band played at the Grand Aïoli closing the 69th anniversary celebration, delighting the public with rock, funk and soul numbers. 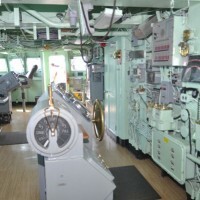 Finally, sailors kindly welcomed some public for ship tours, showing people the inside of the military vessel. 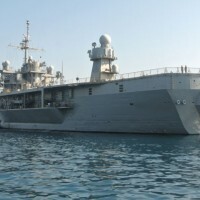 Mount Whitney, homeported in Gaeta, Italy, is an amphibious command ship and the U.S. 6th Fleet flagship. 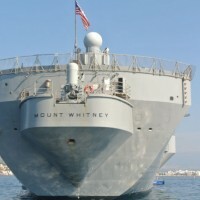 USS Mount Whitney is named after the 14,000-foot peak in the Sierra-Nevada range in California. 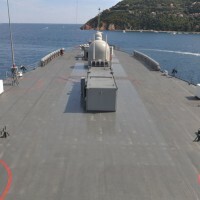 Impressive by her huge proportions, 194 meters long with a width of 33 meters, USS Mount Whitney does not look like a warship, boasting only her huge antennas and domes, Her true purpose is intercepting communications, gathering intelligence, coordinating activities with other U.S. units or with foreign ships during joint exercices with other countries’ fleets. 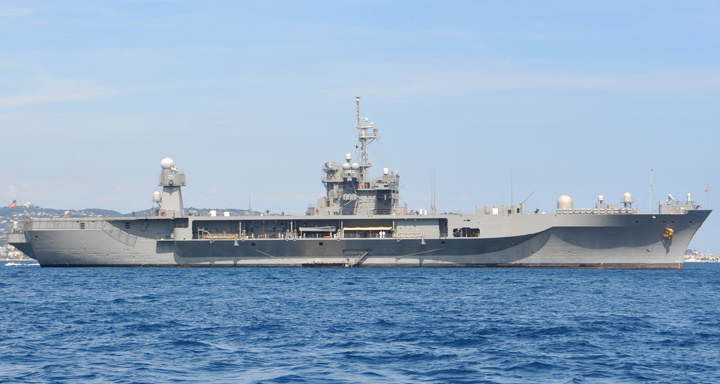 Armed with a crew of 300 sailors, USS Mount Whitney operates with a combined crew of U.S. 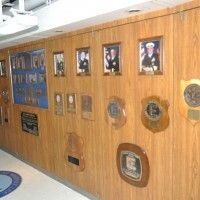 Sailors for a half and civil service mariners for the other half. 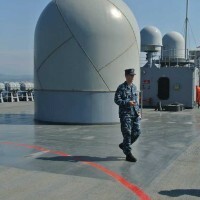 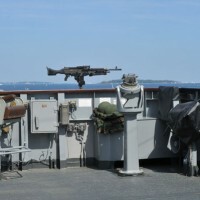 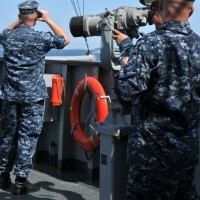 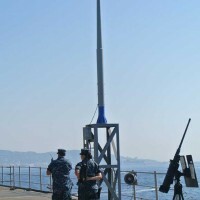 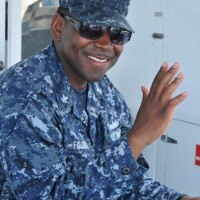 The civil service mariners perform navigation, deck, engineering, laundry and galley service operations, while military personnel aboard support communications, weapons systems and security. 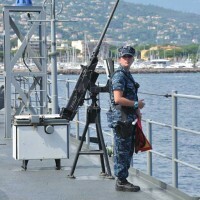 She has a helicopter platform on the back and her small weaponry is solely dedicated to self-defense. 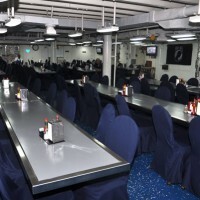 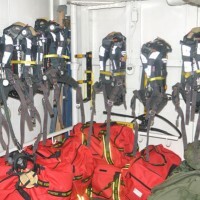 USS Mount Whitney can accommodate the Sixth Fleet Commander’s staff of 250 people and a contingent of 210 Marines. 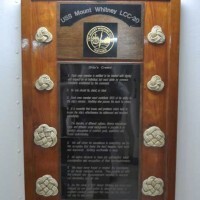 The Mount Whitney was the first U.S. Navy ship to permanently accommodate women on board. 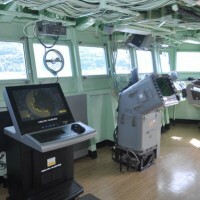 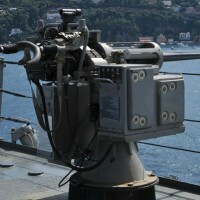 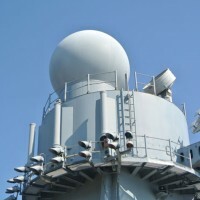 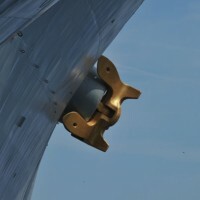 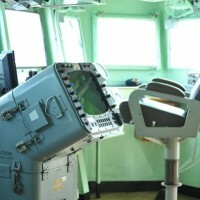 Considered by some to be the most sophisticated Command, Control, Communications, Computer, and Intelligence ship ever commissioned, USS Mount Whitney incorporates various elements of the most advanced equipment and gives the embarked Joint Task Force Commander the capability to effectively command all units under his or her command. 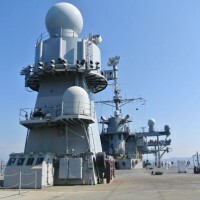 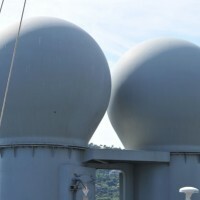 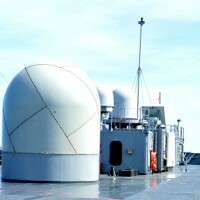 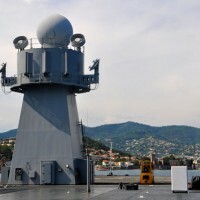 USS Mount Whitney can receive, process and transmit large amounts of secure data from any point on earth through HF, UHF, VHF, SHF (satellite communications) and EHF communications paths. 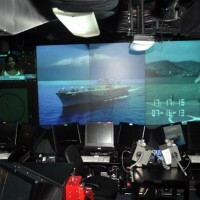 This electronic technology enables the Joint Intelligence Center and Joint Operations Center to provide the most timely intelligence and operational support available in the Navy. 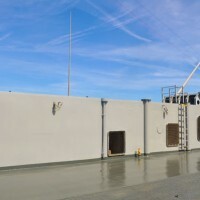 Since her commissioning in 1971, the ship has participated in fleet operations in the Atlantic, Mediterranean, Caribbean and the Indian Ocean and Horn of Africa regions. 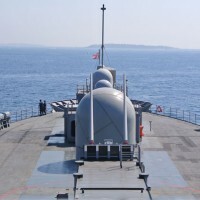 The ship has a steam propulsion, the steam is provided by two boilers. 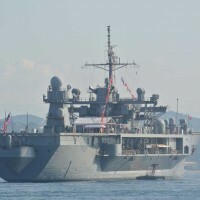 The U.S. Navy has two vessels of this type: besides the Mount Whitney, USS Blue Ridge (LCC 19), in operation since 1970, is the flagship of the 7th Fleet (Western Pacific). 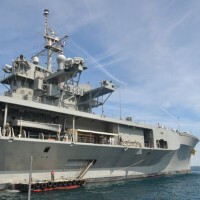 We very much thank the US Navy and officiers and crew members of USS Mount Whitney for their warm welcome aboard and their kindness in explaining the ship functions.